Today most organizations are engaging in data conversion since they are plagued with numerous data related problems. These issues include huge amount of data present in multiple formats, discrepancy in data type, text, and format leading to data redundancy. Against this backdrop, Outsource2india is specialized at converting data from a format to another, within less time with great accuracy or simply put data normalization. At O2I, we can convert any kind of data - periodicals, reports, journals, catalogs, and financial statements into a richly cohesive set of desired formats. In short, we can help store, search and retrieve digital versions of any document - anytime, anywhere. Our team is equipped to convert your existing content into HTML files which can be easily used to distribute the content and reach your customers faster. With XML being a popular format used to display and store data on the internet, O2I's team has the required skills to convert most existing web publishing formats to XML. EDM can help you convert & store paper-based information into electronic format for easy retrieval through a web browser. Also, we can aid security implementation, remote access & reduce filing costs. Convert data into richly tagged, platform-neutral, electronic XML format, & integrate it with existing EDM to handle interface related issues, including scanning, quality assurance & delivering XML repository. O2I offers cost-effective and highly accurate document digitization services where we can convert large volume of data into digital formats. O2I provides highly secure industry-standard PDF conversion services. PDF is one of the most widely shared electronic file formats and O2I offers it at the most cost-effective prices. Our document conversion specialists can guarantee successful document conversion & return them undamaged in the desired format, saving you considerable amount of time, efforts, and money. To leave that lasting impression proper formatting of documents is essential. O2I offers high quality word formatting services using various customized styles and designs which make documents look appealing. O2I can help convert important information using our optical character recognition services and present it in a more readable format. Through our book conversion services, we convert printed books, web-based articles, paper-based data & manuscripts to electronic formats such as e-books, e-research papers, e-zines, e-brochures and e-journals. Outsource2india deploys state-of-the-art scanning facilities and expert technicians who transcribe a large amount of printed data into digital form, like printed menus. O2I offers the most scalable, cost-efficient, and effective file conversion services which help convert almost all types of file formats. Additional Services: With Outsource2india data conversion services, clients can also get access to our editorial staff, which provides manual data entry, proof reading and editing services to ensure the accuracy of data entered. O2I's printed data conversion services have an accuracy rate of 99.9%. Client sends hard copies by courier and Soft copies via FTP, Dropbox, WeTransfer etc. Converted Files are uploaded back to the client through FTP, Dropbox, We Transfer etc. 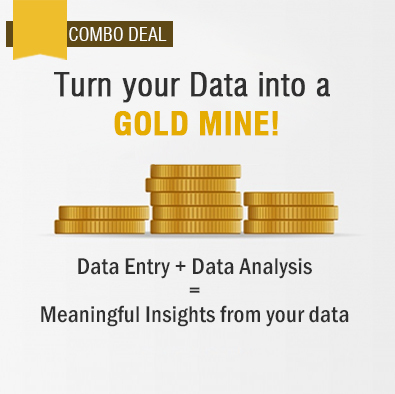 Expertise in Data Analysis: We are among the very few companies who can analyze your data before or after conversion. Data analysis can help you extract hidden information out of your data that can aid in business decisions. Contact us for in-depth data analysis. At Outsource2india, we provide quality data conversion services designed to meet the individual needs of all our clients by identifying your needs and creating services that meet those needs. Working with O2I has been a great experience. They quickly learned our line of business, adapted to our requirements and has consistently performed well. They've also gone above and beyond their duty. They're reliable. A wonderful partner.